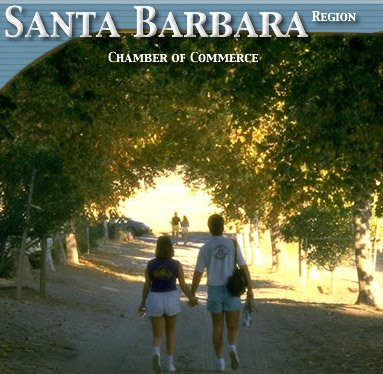 Why would a city as decidedly image-conscious as Santa Barbara permit its chamber of commerce to use the above image on its main page? Could the organization that should rightly have its finger on the pulse of the Santa Barbara business world really not have found a single more aesthetically pleasing image? Something more representative of the city? Or at least a photo depicting only one person wearing unflattering shorts? At least neither of them has a ladder in their tights. Actually, the photo looks like it survived from the days of the Arpanet.